*LEARN: 25 Empty Slots are shown as White Pixels on Hoop, Yellow Pixel Slots have a Pattern Saved, RED Pixel is your Pointer. 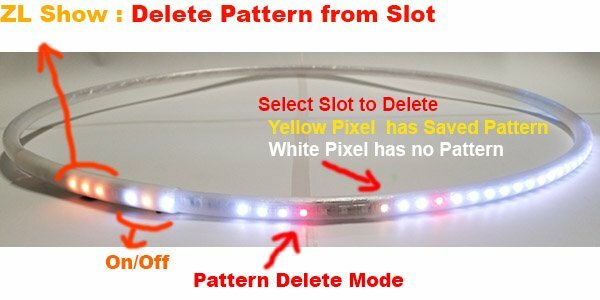 You can delete any slot regardless if it is yellow or white.The hoop will automatically delete that slot and turn pixel into white. Note, you can never delete the first slot as this always has a default saving, you can override it and save new pattern into it.